Our WordPress Starter course will show you how to create professional looking websites, without hiring a designer or having to ‘code’. WordPress is quickly becoming the platform of choice for creating websites. It is an online, open source, non-techie website creation tool. It’s probably the easiest and most powerful blogging and website content management system (CMS) available today. Well-known brands such as CNN, Wall Street Journal. eBay, UPS. and Ben & Jerry’s use WordPress as the platform to build their websites. 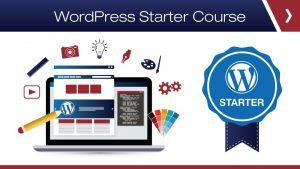 Knowing where to start when customizing your WordPress site can be a little overwhelming, however, our online WordPress course, will provide you with the knowledge and tools you require to create, market, manage and update any WordPress website. You would be amazed at the amount of ‘local business owners’ who are not online as yet. The typical ‘bricks and mortar’ type business owners need help. So not only will you save you money by learning how to create and maintain your own website, you can easily offer this as a service to local business owners. 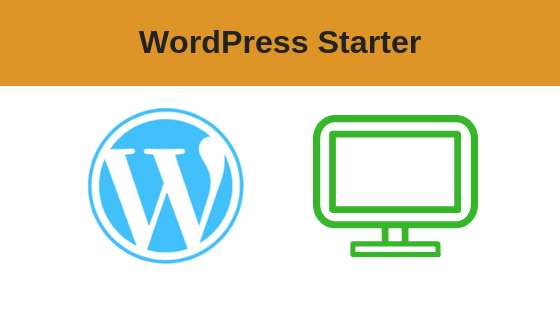 This course will teach users how to identify the major components of creating a WordPress site. It will explain the key features of WordPress and its capabilities as a blogging or content management tool, how to plan and design a site and then how to use WordPress to build it. What’s new in the latest version of WordPress?